To Order the Annual Subscription Click Here. Financial Ratings Series Online combines the strength of Weiss Ratings to offer the library community a single source for financial strength ratings and financial planning tools covering Banks, Insurers, Mutual Funds and Stocks. This powerful database will provide the accurate, independent information your patrons need to make INFORMED DECISIONS about their financial planning. As the first and only source to cover the financial stability of the nation’s health care system, Weiss Ratings’ Guide to Health Insurers proves essential in an ever-changing environment full of multiple healthcare options. Grey House’s Financial Ratings Series combines the strength of Weiss Ratings and Grey House Publishing to offer the public a single, comprehensive source for financial strength ratings and financial planning tools. From health insurers to banks and credit unions to stocks and mutual funds, the Financial Ratings Series provides accurate, independent information that consumers need to make informed financial decisions. 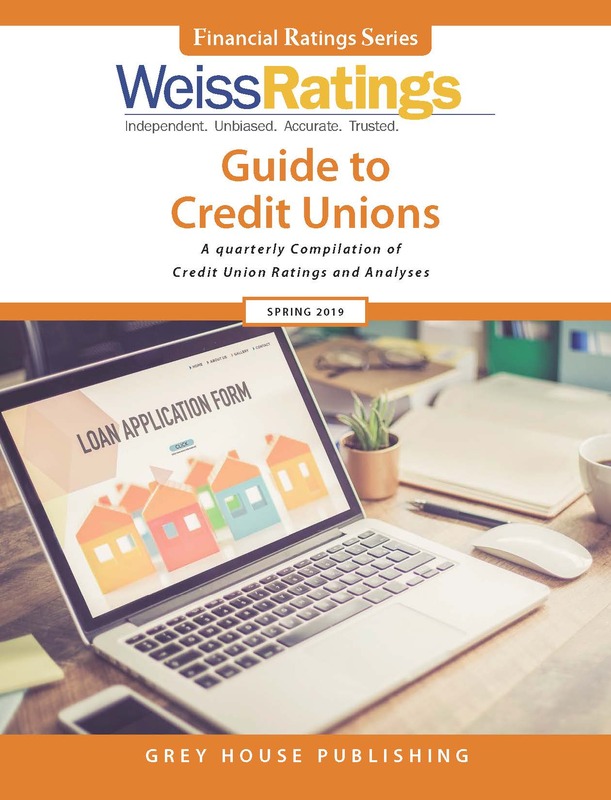 All of Weiss Ratings’ Guides are published quarterly, utilize a clear-cut A-to-F rating system (similar to school grading systems), and contain more complete, up-to-date ratings than any of their competitors. These editions of Weiss Ratings’ Guide to Health Insurers feature ratings and analyses of over 1,600 health insurers (including all Blue Cross/Blue Shield plans) and over 500 health maintenance organizations (HMOs). Many of these companies are not rated anywhere else. Weiss Ratings’ Guide to Health Insurers is divided into eight sections, preceded by an Introduction and followed by a thorough Appendix. Weiss’ complete letter-grade rubric is detailed on the inside front cover—an easily accessible reference for users researching companies in this guide. The Introduction welcomes the user, lays out Weiss’ Mission Statement, and presents a “How To Use This Guide” orientation to the book. The Financial Strength Ratings used in the book are carefully explained, followed by a page of important warnings and cautions for the user to take into account when evaluating health insurance providers. Alphabetical Index of Companies, listing over 1,600 health insurance companies operating within the U.S. (rated and unrated). Listings are made up of ten components, including Company Name, Domiciled (Regulated) State, Financial Strength Rating, Most Recent Rating Date, Total Assets (in millions), Total Premiums (in millions), and Risk-Adjusted Capital Ratios. Analysis of Largest Companies, features summary analyses of all Weiss-rated U.S. health plans, Blue Cross Blue Shield plans, and any other U.S. insurers with capital in excess of $25 million and health insurance premiums equaling at least 25% of the total premiums. These summaries consist of several key components: Financial Strength Rating, Major Rating Factors, Number of Member Physicians, Enrollment, and Principal Investments. Complete contact information is also listed, and detailed graphs and charts are provided to help users fully understand all data. Recommended Companies, or U.S. health insurers that have been awarded a Financial Strength Rating between A+ and B+. Section III lists companies alphabetically and provides complete contact information and ratings, while Section IV organizes companies by state and discloses Total Assets. Long-Term Care Insurance Providers listings in this section include Financial Strength Rating, legal name of the insurance company, and complete contact information. Medigap Insurance features questions including "What does Medicare cover?" and "Medicare, Medicare Advantage, Part D Sponsors, Medigap - What does it all mean? "It also outlines steps to follow when selecting a Medigap policy. That is followed by tables illustrating the typical annual premiums charged for Plan A through Plan L. And finally, an Index of Medigap Insurers listed alphabetically by name with complete contact information. Analysis of Medicare Managed Care Complaints is comprised of alphabetical listings for U.S. Medicare-Managed Care plans. Listings include eleven key components, such as Company Name, Domicile State, Financial Strength Rating, SMC Region, Rate of Reconsideration, Reconsiderations Upheld, Reconsiderations Overturned, Reconsiderations Dismissed, and more. Rating Upgrades and Downgrades features a list of all U.S. health insurers whose ratings have been upgraded or downgraded during the current quarter. Listings include Contact Information, Total Assets, New or Current Financial Strength Rating, Previous Financial Strength Rating, and Date of Change. Finally, Weiss Ratings’ Guide to Health Insurers ends with an Appendix containing six sections: Risk-Adjusted Capital, Long-Term Care Insurance Planner, Medicare Prescription Drug Planner, Recent Industry Failures, State Contact Information, and a Glossary full of helpful industry words and phrases. 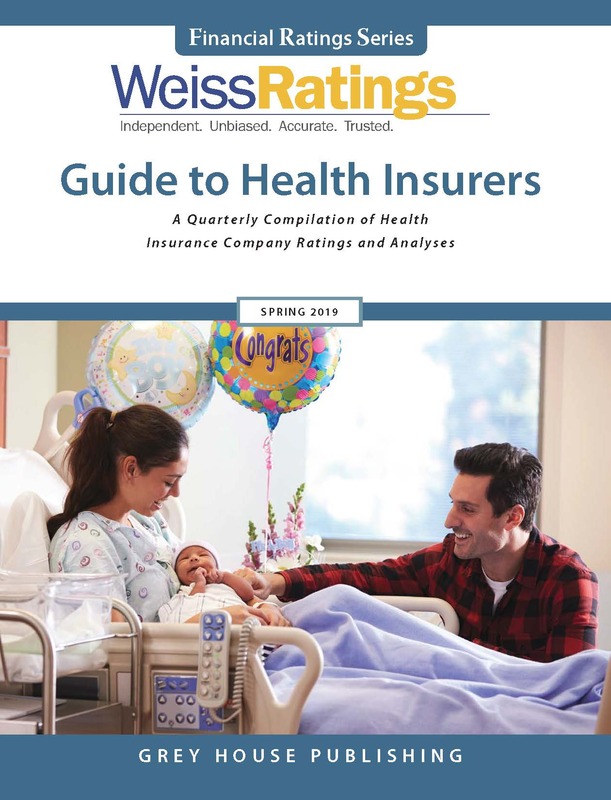 Weiss Ratings’ Guide to Health Insurers is also available for subscription as part of the Financial Ratings Series Online, giving users the tools to discover the best, most financially stable organizations in business today. Using a quick and easy search screen, subscribers to the online database will have access to Financial Strength Ratings for more than 21,000 Banks, Credit Unions, and Insurance Companies (Auto, Life, Health, and Homeowners’), as well as Investment Ratings for over 6,000 Stocks and 16,000 Mutual Funds. Additionally, subscribers will have access to individually customized Medigap Buyer’s Guides, a Long-Term Care Insurance Planner, a Ratings Track Record, and many other financial planning tools. Visit www.greyhouse.weissratings.com for subscription details. Rather than make a profit, credit unions give their profits back to their members. Given these features, credit union lending and participation is on the rise. This important reference tool provides accurate financial strength ratings of the 7,800 credit unions in the United States. 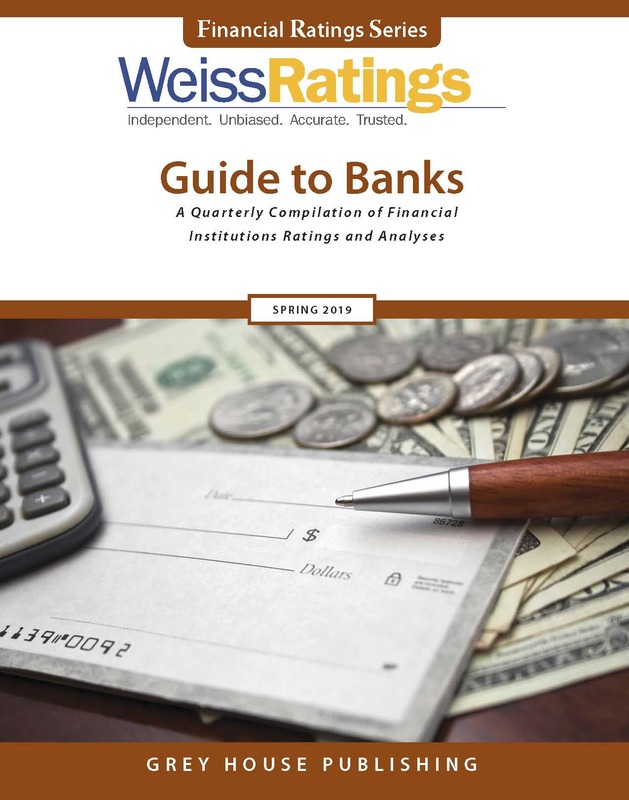 Weiss Ratings’ Guide to Banks is the ideal resource for accurate, unbiased ratings and data to help citizens across the U.S. choose a commercial bank, savings bank, or savings & loan for themselves, their families, their companies, or their clients. 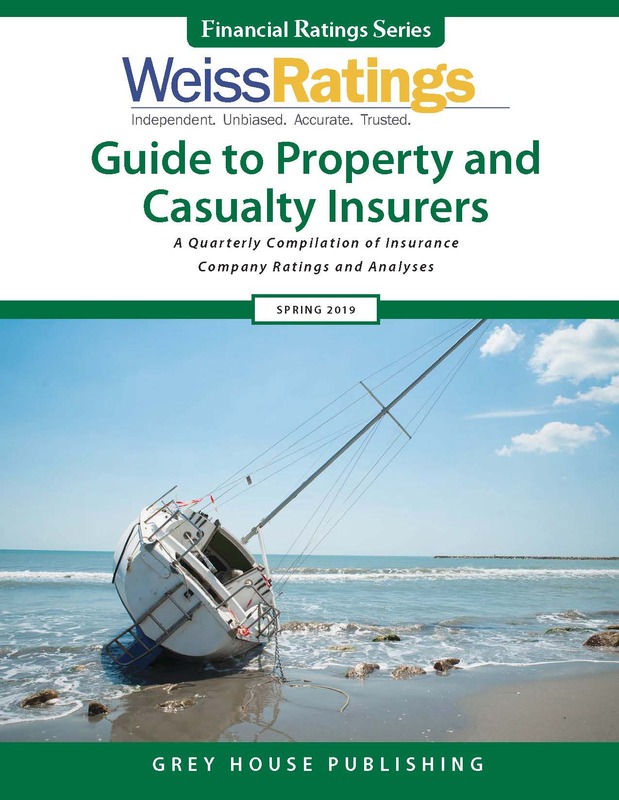 By utilizing the financial strength ratings in Weiss Ratings Guide to Property & Casualty Insurers, users can make sure that they are choosing a company that will be there when they need them. This quarterly guide is the ideal resource for accurate, unbiased ratings and data to help citizens across the U.S. choose reliable property and casualty insurance companies for themselves and their families. 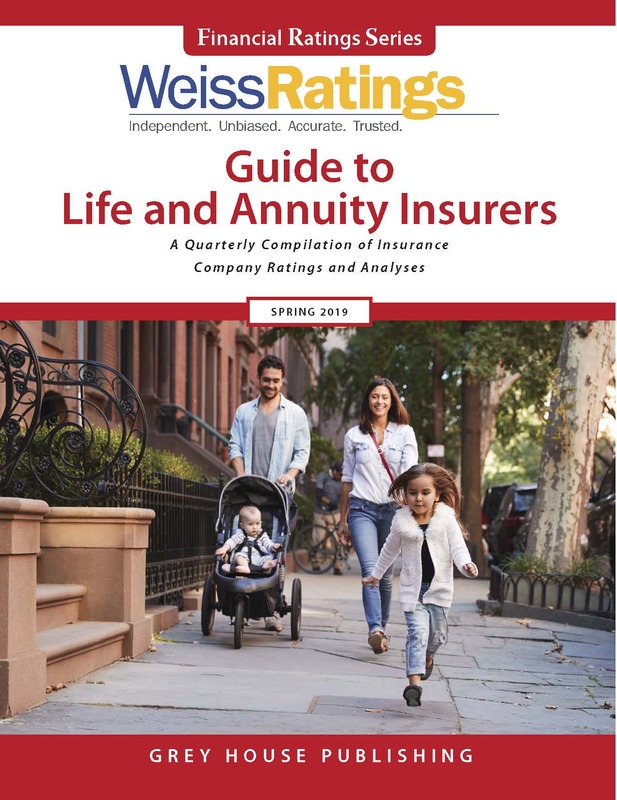 Weiss Ratings Guide to Life & Annuity Insurers provides independent, unbiased ratings on the financial strength of 1,000 life and annuity insurers, including companies providing life insurance, annuities, guaranteed investment contracts (GICs) and other pension products. Updated quarterly to provide readers with the latest information.